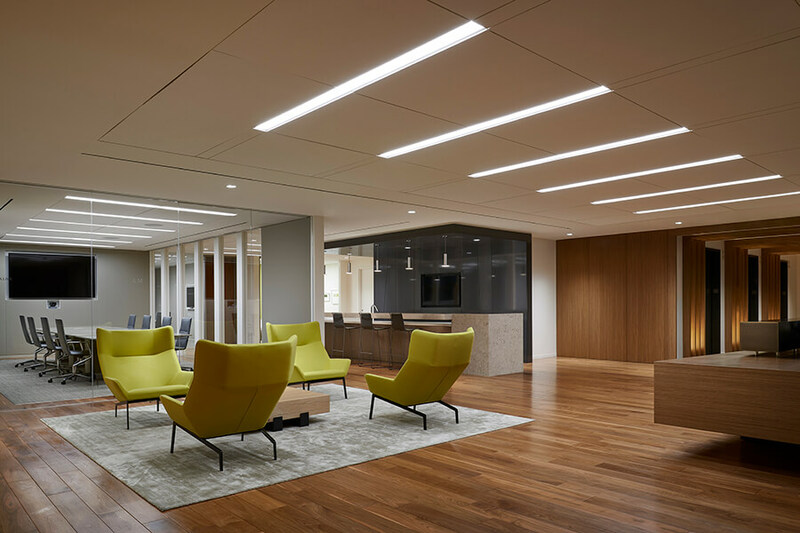 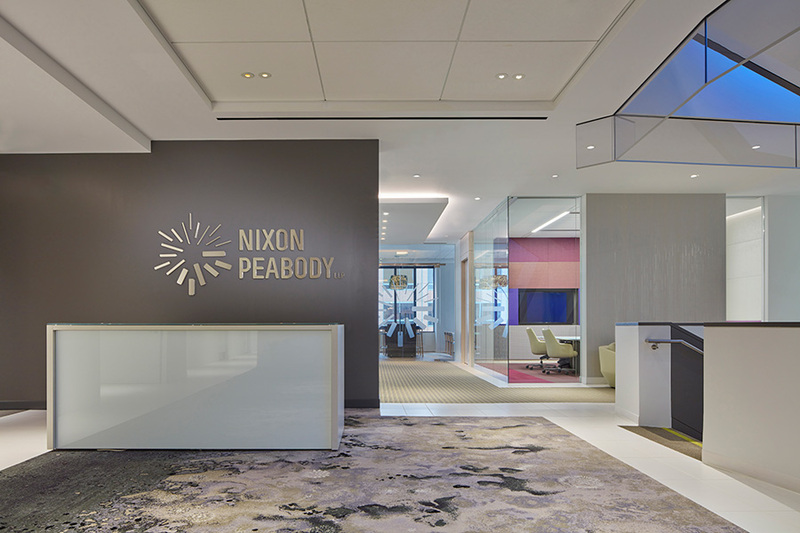 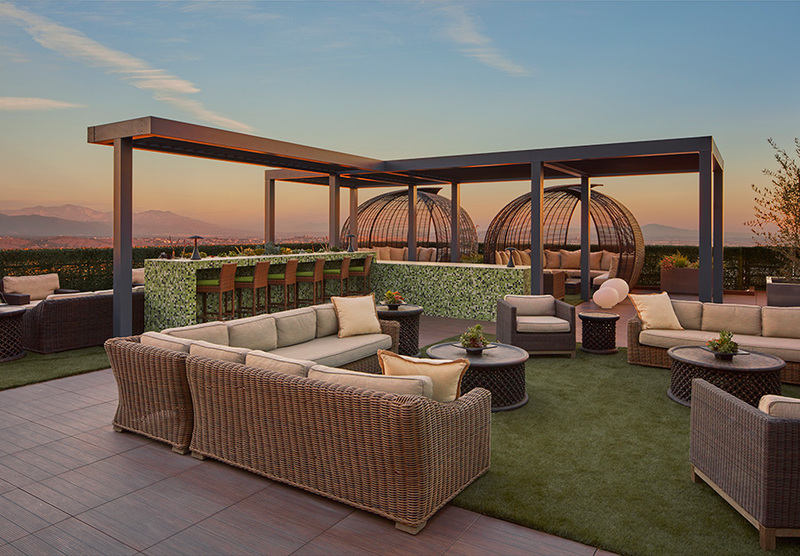 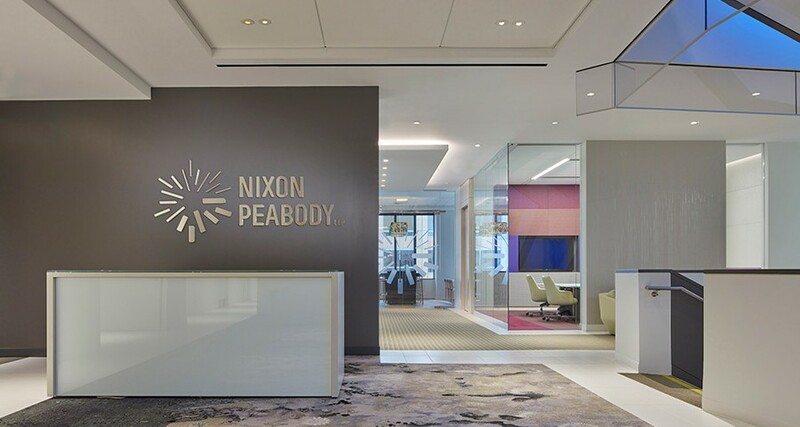 Nixon Peabody, located on the 40th – 42nd floor of One California Plaza in downtown Los Angeles, realized their vision for a beautiful and sustainable office suitable for both entertaining and working. 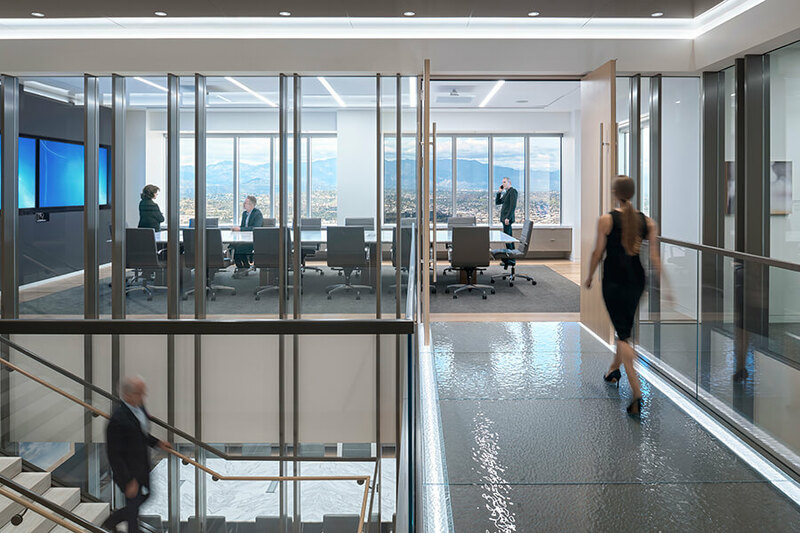 Relocated from the Gas Company Tower, their new office is situated on 2 ½ floors. 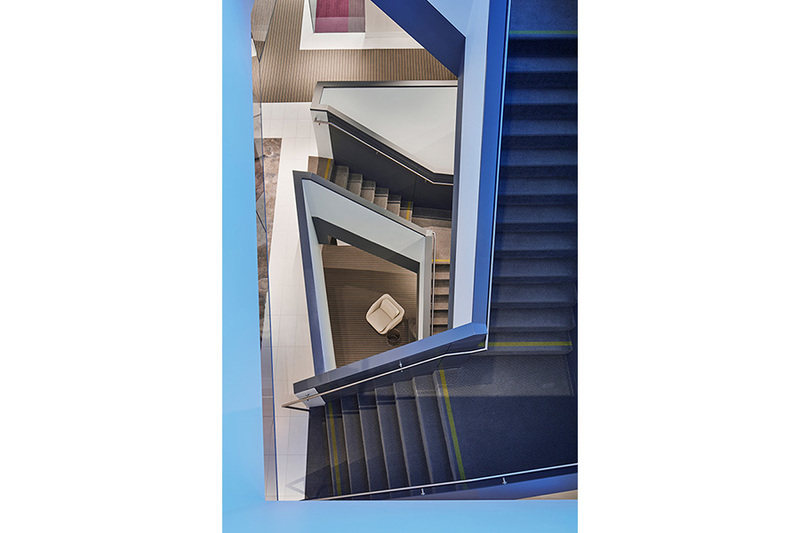 Two interconnecting stairs serve as the focal point for this dynamic workspace. 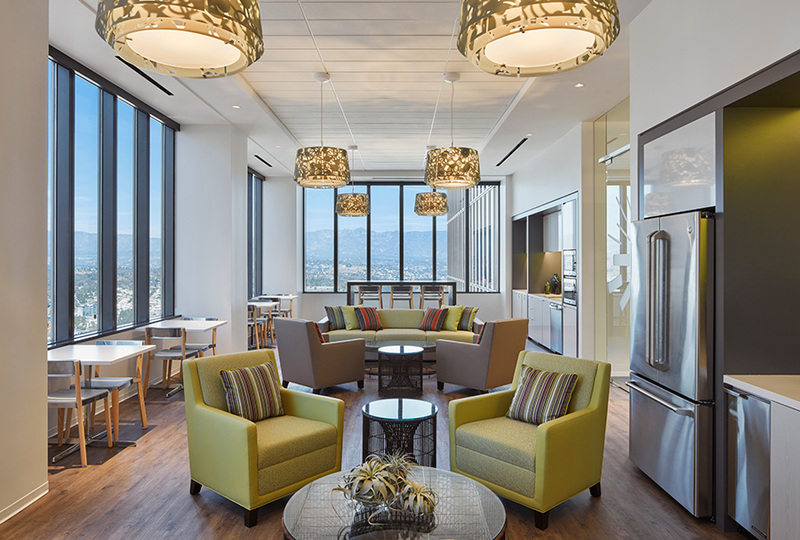 Clean and contemporary interior design throughout is punctuated by unique project features such as the impressive top floor, private exterior patio overlooking the heart of Los Angeles. 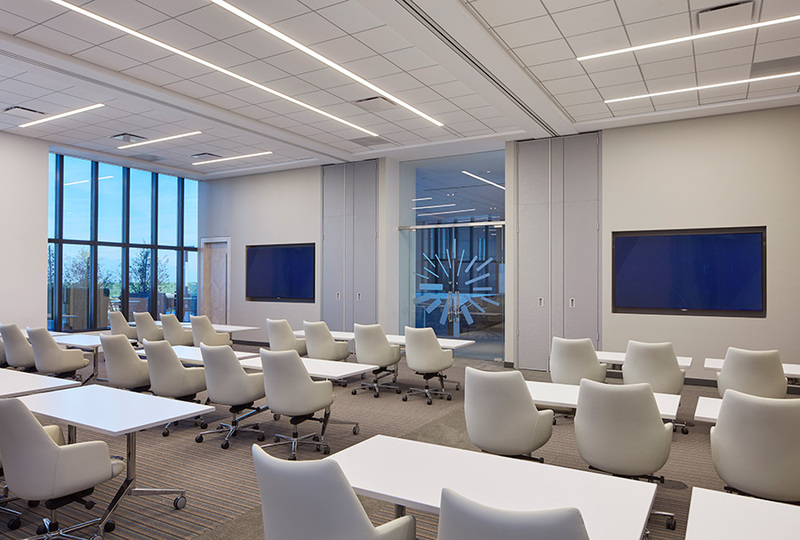 The ECC team worked diligently to complete the unique and complex build-out within the 24 week construction schedule. 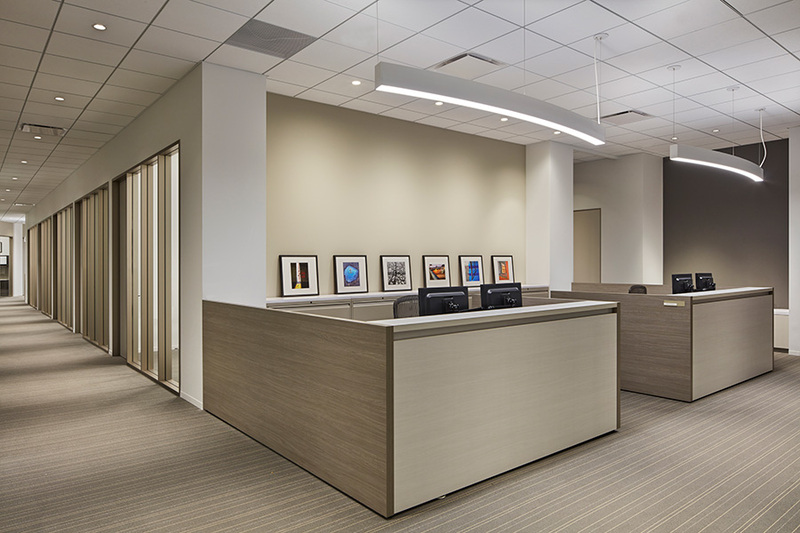 This office obtained LEED Silver Certification with the U.S. Green Building Council.